So after going through all the patterns again tonight I have made up my mind. I am going to do the basic bird . I have not been doing any amigurumi for a little while so hopefully this will refresh my memory. I will be checking in with your blog all the time. I absolutely love amigurumi even though I have just started a few things. Nothing done yet. I am a crocheter and a quilter so am always working on a lot of things. I have been looking everywhere at all of the amigurumi which gets time comsuming. 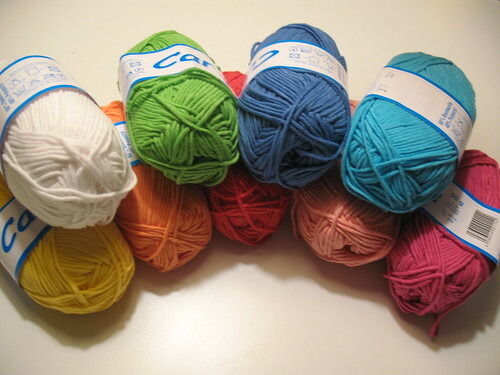 It will be great to just hit crochet along amigurmi on my favorites and see a lot of cute things – I HOPE! Thanks for bittersweets pattern. Maybe I can try that, get it done, and post for everone to see. Thanks again for amigurumi! Hi, love your yarn find there. I would have stocked up too. I haven’t decided what I want to make yet, I have so many patterns to chose from (and no, I won’t cheat by using one of the several already done pieces I have around the house). I better run off and update my craft blog though (I haven’t posted in it since March) and it’s high time I started using it again and MySpace less so. Hi love the site. great patterns. I am so loving your wonderful yarn find. what kind of yarn is it? it looks very soft.